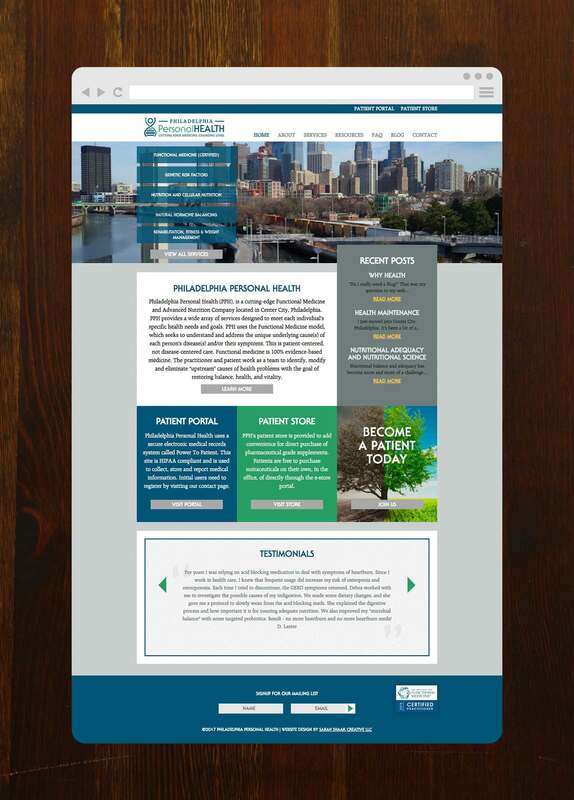 Philadelphia Personal Health is a cutting-edge Functional Medicine and Advanced Nutrition Company located in Center City, Philadelphia. PPH uses the Functional Medicine model, which seeks to understand and address the unique underlying cause(s) of each. The practitioner and patient work as a team to identify, modify and eliminate “upstream” causes of health problems with the goal of restoring balance, health, and vitality. This new practice came to SSC to create visual branding, accompanying marketing materials and a website that would serve as a resource for client needs. PPH’s brand plays on the personalized, science-based care elements of the practice merging a DNA helix with a person to create a unique, professional logomark that truly represents their approach. 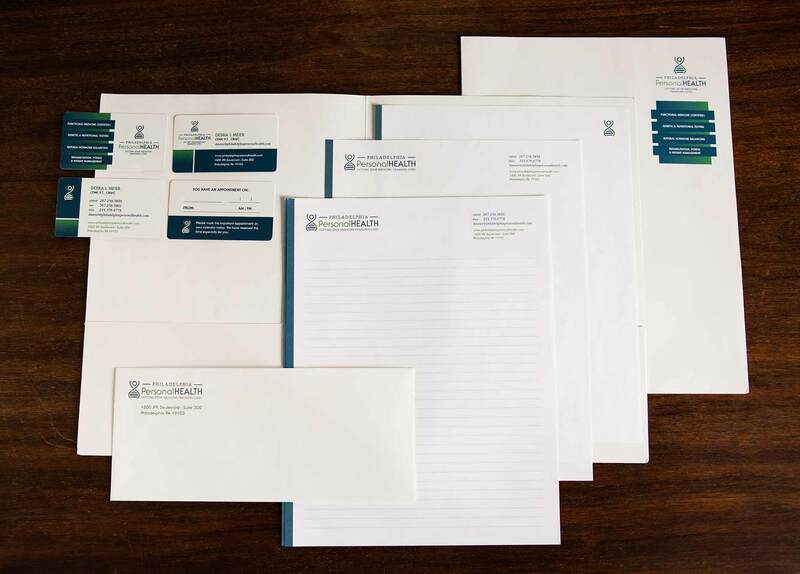 Accompanying business cards, appointment cards, pocket folders, stationary and notepads expand upon the brand consistently. 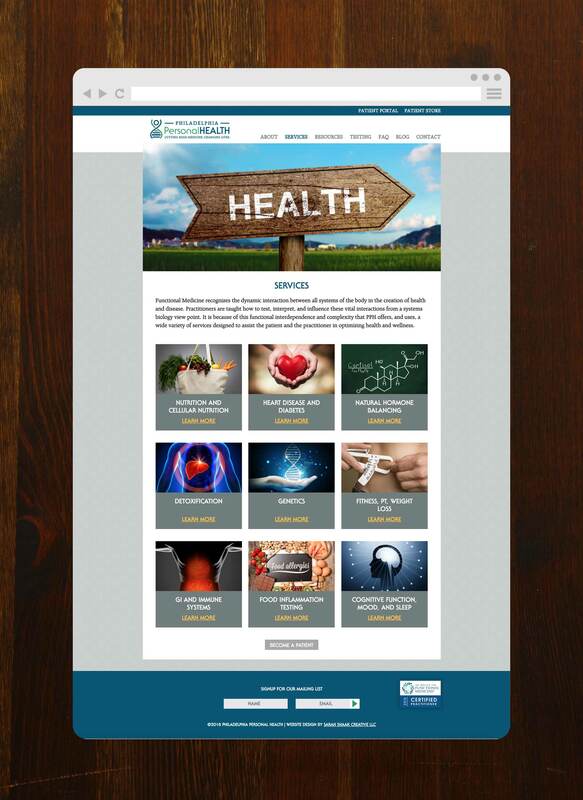 The website educates about the practice of functional medicine, PPH’s specific practice and serves as a resource on services and techniques for care. Working with SSC turned out to be a very good business decision for me. As a first time start up business owner I had a lot to do and even more to learn! Sarah, with her web design experience, systematically guided me through the branding and web design processes with a process that allowed my vision(s) to become a reality. She provided the time and space for me to get it right, by my own standards. She is skilled at drawing your unique creativity out of you, and strong enough to challenge you when you are potentially making a rookie brand or design mistake. I would highly recommend her for both branding and design work.